Alaminos, Pangasinan is known for its Galila Hundred Islands Festival which is being celebrated every March 16 – March 21 every calendar year. But since we are talking about the Social Security System branches, we will be capitalizing in providing you the basic contact details of SSS Alaminos branch office in Pangasinan. This is to help our fellow Pangasinense (some call them Pangalatok in street name) to easily find and make their SSS inquiry anytime they need or want to. To avoid confusion, we have provided an official map guide on how to get there as embedded below taken from Google Maps latest version. Hotline telephone numbers were also noted and provided to help locals make a call before coming over to inquire in person or take care of SSS issues. When calling, be sure to be polite at all times, this way, we may be able to help make a better and courteous service from government employees. Each of us deserve some respect so expect the same while doing only good. Be extra patient in waiting for the information you may need. Remember that patience is a virtue. Just to give you an idea on which information you can inquire about via their hotline numbers, this may range from contribution, ID issuance and application, loans, account activity, status of application and more. 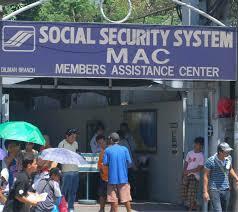 I’m sure that whatever you need, the people behind SSS Alaminos branch will be able to take care of it. At the least, they can give you an alternative option for a problem regarding your account with the SSS. For any discrepancies or changes in the provided contact details below, please help us improve it by leaving a comment below. We will gladly change the information as soon as we verify it. Officer in Charge: Branch Head: Narciso M. Martinez, Jr. This entry was posted in Branches and tagged alaminos office, pangasinan branch, sss address, sss alabang address, sss alabang contact details, sss branches, sss hotline, sss office. Bookmark the permalink.